With above-the-fold space becoming increasingly devoted to paid promotion, ranking #1 in organic search no longer means a dominant placement on a Search Engine Results Page (SERP). What’s a higher education program to do? Take advantage of that fact and use it to your benefit. 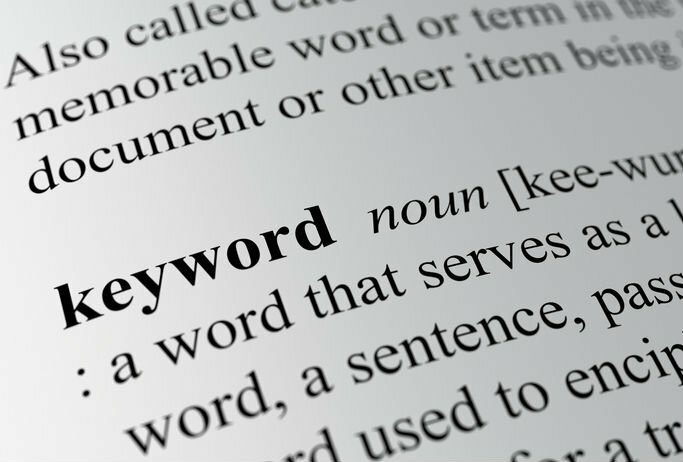 Here’s why bidding on branded keyword terms plays an important role in higher education degree program campaigns. Increasingly, Google is devoting less SERP real estate to organic search listings. Not only do paid search ads appear at the top and right side of SERPs, but the rollout and projected increased appearance of Google’s Knowledge Graph is expected to bite into coveted placement even more. The SERP provides searchers with a whole bunch of options to choose from before they even get to what they searched on in the first place. What percentage of searchers do you think click on the #1 first place organic listing? The further along searchers are in their information-gathering phase, the more likely they are to use a branded query. 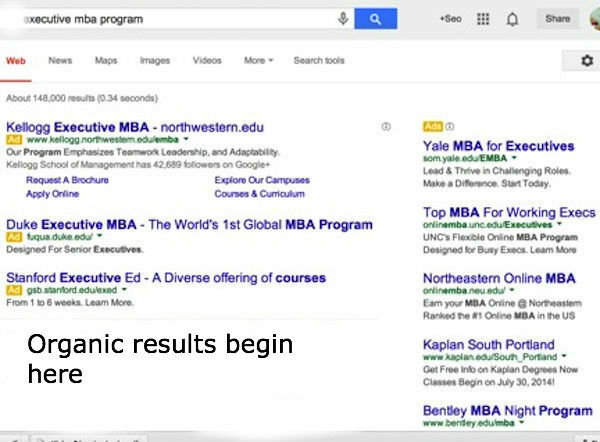 It makes sense – after searchers see which programs are available, they begin to dive in a bit more deeply. As they become more familiar with the programs, they know how to search for them by name for more information. Couple that with the fact that searchers who read and click on paid ads are closer to making a purchase decision than those who ignore the ads and go straight to organic listings, and you begin to see why it’s important to invest in your branded keywords. But that’s not all. The cost-per-click for branded keywords is almost always significantly lower than non-branded keywords. In addition, click-through-rates with branded keywords tend to be higher – plus they convert to leads at a higher rate. The result? Choosing paid search for your branded keywords produces highly qualified leads at a lower cost-per-lead. And the good news doesn’t stop there. While organic visitors may enter a site from any number of different pages – not all of which are set up to convert the visitor into a lead – typically highly optimized landing pages for paid campaigns convert better (generate more leads) than normal pages within the website. Branded Keywords contributed 25% of total clicks for the campaign at an average cost-per-click that was 14% lower than the overall average cost-per-clicks. Not only were branded clicks less expensive, but actual conversions were as well. Branded keywords contributed 29% of total click conversions at an average cost-per-conversion that was 32% less than the overall average cost-per-conversion. Close to one-third of conversions came from branded keywords, and the cost was significantly lower. The strongest strategy for maximizing qualified traffic and conversions is to incorporate both the branded and non-branding keywords into your campaigns. Doing so will lead to more clicks and conversions for your university or college recruitment campaigns. And that translates into more student inquiries and applications. For additional information about creating successful digital marketing campaigns, we suggest you check out our blog post on digital marketing for higher education. It will give you a high level overview of what it takes to be successful with online marketing today. We believe in this idea of continual fine-tuning so much that we named our company VONT, which means to achieve exponential improvement in incremental steps. It is our core belief, and the reason why we are not simply a Maine web design company or digital advertising agency, but rather a long-term, single source partner providing a comprehensive array of web development and digital marketing capabilities for a variety of areas including higher education digital marketing. If you’d like to learn more about how to market higher education programs with VONT or the work we’ve done with our client partners, visit our Work page. Or, if you have a question, either leave us a comment below, or contact us. We’ll get right back to you!